Zimbabwe used to be the breadbasket of southern Africa. Today it cannot feed itself. It has the world’s highest inflation rate. According to the Zimbabwean government it is over 1000%. Unofficially it is said to be over 2000%. 80 percent of the population is unemployed. It also has the lowest life expectancy in the world. It’s a state teetering on the brink of collapse. The public health system is falling apart. There are chronic shortages of food and foreign exchange. The entire nation is becoming militarized. 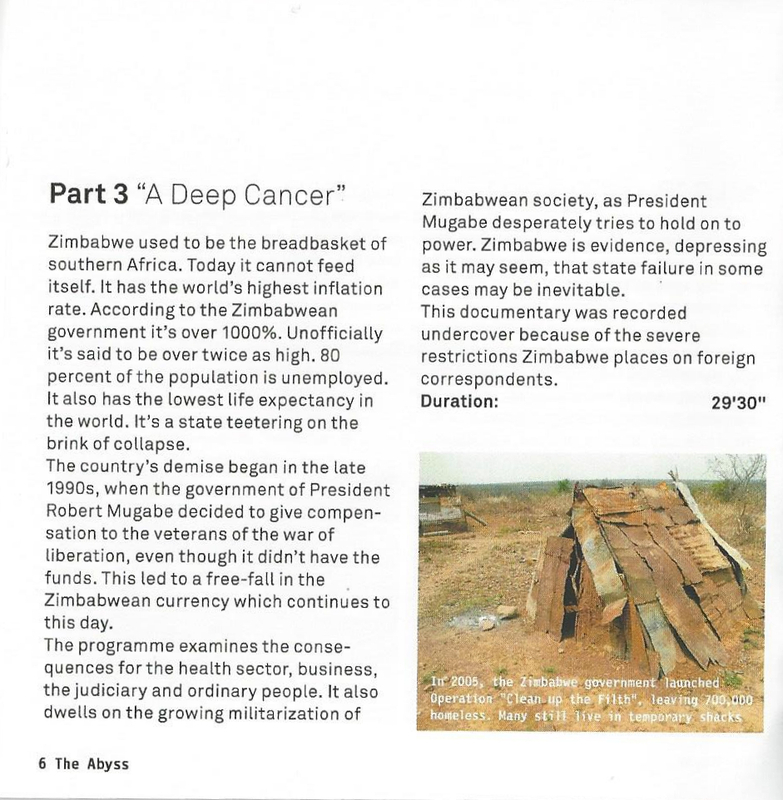 The program examines various aspects of Zimbabwe’s collapse and the effect this is having on ordinary people. 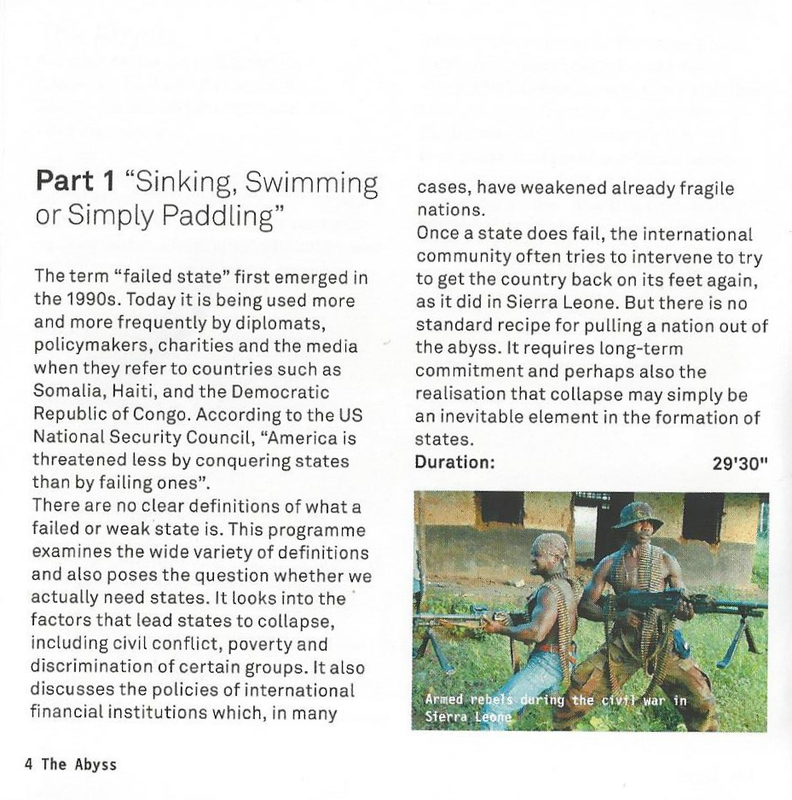 It also looks at how President Robert Mugabe has managed to virtually destroy his nation and his people. The reporter traveled to Zimbabwe undercover because of the government’s draconian restrictions on foreign journalists. 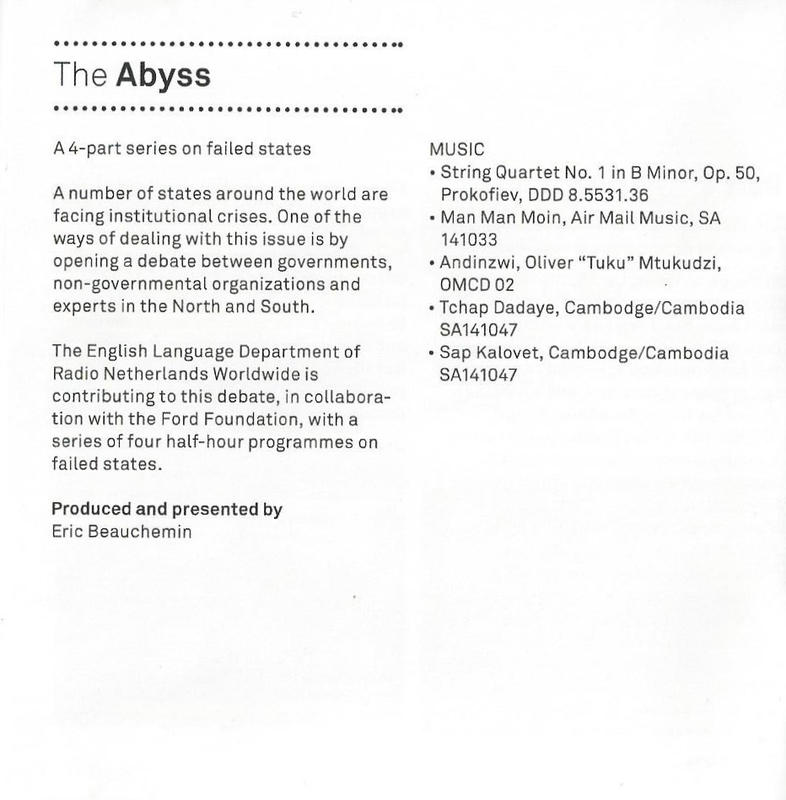 Radio Netherlands Worldwide presents “A Deep Cancer”. 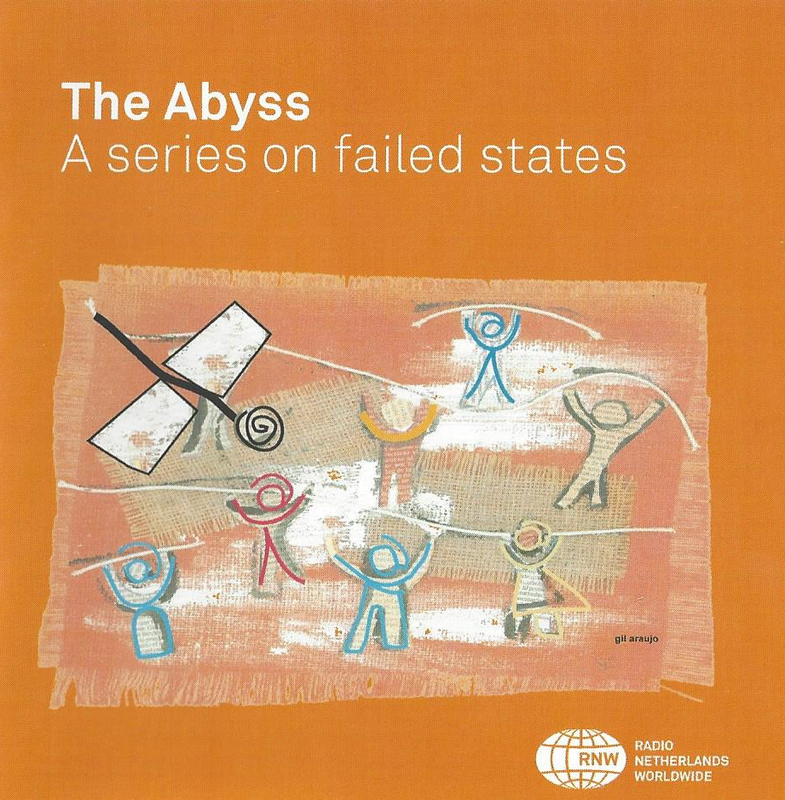 It’s the third programme in “The Abyss”, a four-part series on failed states, produced in collaboration with the Ford Foundation. The programme is presented by Eric Beauchemin. It has joined a number of failed states in Africa, something that definitely shouldn’t have happened to a country like Zimbabwe. At independence, this was the jewel of Africa. Democracy, freedom, independence. You could feel and sense those. But they’ve been corroded. They’ve been eroded over the passage of time. The only thing that I believe that President Robert Mugabe has ever said which is 100% factually correct was when he said never in history has any country been placed in liquidation. We are now fed up, absolutely fed up. Zimbabwe used to be the breadbasket of southern Africa. Today it cannot feed itself. It has the world’s highest inflation rate. According to the Zimbabwean government it’s over 1000%. Unofficially it’s said to be over 2000%. 80 percent of the population is unemployed. It also has the lowest life expectancy in the world. It’s a state teetering on the brink of collapse. Nowhere are the consequences of this more evident than in the public health system. Mpilo is one of the two main hospitals in the southern city of Bulawayo, Zimbabwe’s 2nd largest city. Walk inside and you’ll see rundown wards and outdated equipment. It’s emblematic of the collapse of the health care system. Debra Mabunda is a nurse in a nearby institution. The situation right now has deteriorated so badly, so much so that a lot of patients are turned away from hospital, not because they cannot be accommodated but because there is really no treatments, especially drugs, human power, and at one point a few months back, patients who were admitted to hospital had to take in their own bed linen, their own gloves, their own drugs, and at times they had to actually pay a doctor in their private surgery to come and see them in the hospital. Staff moral has collapsed, says a male nurse. Like many of the people I spoke to, he wishes to remain anonymous, fearing repercussions from the authorities. We are no longer serving the patients as we were because three-quarters of the time somebody is asking about money: any increases? Where do you get mealie-meal? Where do you get sugar? Where did you buy whatever? What mode of transport are you using today? Three-quarters of the time we are discussing and nothing else. That means we are not productive at all. EB: Have a lot of your colleagues left as a result of the situation? Definitely. Three-quarters, the majority have gone to greener pastures. Some have even opted to leave and struggle elsewhere. They would rather leave their chosen careers because it defies logic. EB: Are you yourself thinking of leaving? Definitely, definitely I am. If I strike a chance, I would. I will because there’s nothing that I’m working for. EB: Would you go to a different country or would you work in something else? At the present moment, working in the same country does not even help because the situation is just the same. I may get hundreds of millions but the inflation will erode everything. The best way is to leave the country, and nothing else. EB: What do you think is going to happen in the future with the medical care system? It will collapse. Definitely, it’s heading towards collapse. A surgeon, who also wants to remain anonymous, is also seeing a steep decline in health care. Frankly speaking, I don’t know how my colleagues cope. EB: How do you look after a patient who’s diabetic when you don’t know what their sugar is? And you’ve got no insulin. It’s very difficulteed. EB: How much further will it take things to collapse completely? In one sense, it’s a bit impossible to answer. In another sense, it’s already collapsed. Even aspirin is unavailable in health clinics and hospitals. Ambulances cannot go out to pick up patients because fuel is in such short supply. As a result, says this doctor, fewer and fewer people are turning up for treatment. The fact that people are not coming is symptomatic that the health service isn’t able to provide. In the past, the hospitals from the districts brought patients on a regular basis. Tuesdays and Thursdays, there was a queue of ambulances at outpatient departments. They’re just not there. So of course it’s transport. It might also be the fact – of course, I’m a surgeon so that many of these folk are sick with HIV disease and therefore don’t come – but the medical wards are also empty. There’s a misconception that’s commonly touted in newspapers that the hospitals are overflowing and stuff. It’s absolutely not true. The frustration of doctors and nurses is understandable. The consequences for patients too, particularly the most vulnerable: children. Anna is a 16-year-old orphan. She was working as a maid when, one evening, as she was leaving church, she was attacked by a group of 6 young men posing as police officers. She was gang raped. She finally managed to escape and a motorist took her to the police. They made her wait for hours but since they were short-staffed, they sent her home, telling her not to wash herself. They were supposed to pick her up the following morning, but they didn’t have a vehicle. So she had to walk 1.5 kilometres on her own to the hospital. I was feeling sick. My thighs were sore and I was swollen, my feet were swollen and where they were hitting me over the body, I was feeling pain, and I was feeling soreness in the throat where they had put something so that Ild not shout. EB: What happened when you arrived at the hospital? The doctor examined me and took some specimens from my private parts, and then the doctor afterwards ordered some medication that I was to be given. But there was no medication at the hospital. And then they als /o took some blood specimen. The blood specimens were taken and the police were supposed to go with me to take the results but nobody came so the results were not taken. Anna eventually discovered that she had syphilis and probably also has HIV. She wanted an abortion, but she wasn’t able to get the drugs. She’s now 4 months’ pregnant with a child she doesn’t want. I don’t know what to say I’m pregnant when I am so small, and I have no one to look after me. And I don’t know, if I were to give birth to this child, how I’m going to look after this child without any support from anyone? Today’s Zimbabwe is full of personal tragedies. There are too many stories to tell. Yet when Zimbabwe achieved independence in 1980, it was a beacon for other nations in the region. President Robert Mugabe and his ZANU-PF party were going to lead the country to a more prosperous future, free of discrimination. But things started going radically wrong in the late 1990s, when the government decided to give compensation to the war veterans of what’s known in Zimbabwe as the “liberation war”. Frankly the issue at the time wasn’t whether they did deserve the compensation or didn’t. The issue was that government couldn’t afford to give that compensation. Dr. Eric Bloch is an economist and financial consultant. The result was an immediate crash in the Zimbabwean dollar. It was recognised that to be able to pay that compensation, there would have to be recourse to major printing of money, and that that would fuel immense inflation. On the 13th of November 1997, the Zimbabwean dollar crashed 75% in 4 hours. And that was the first trigger to the collapse. A few months later, the situation deteriorated even further, and people went out onto the streets to protest against hikes in food prices. To placate people, President Mugabe’s government approved the Land Acquisition Act, giving huge parcels of land to the black majority. But in fact, the government, behind the scenes, had already been encouraging the war veterans to illegally invade farm land. The invasions destroyed the foundation of the Zimbabwean economy: agriculture. Most of the land though did not go to poor peasants. Instead it was given to Mugabe’s cronies, and the Zimbabwean dollar continued to plummet. Government has tried to maintain a fictitious value by regulating the exchange rate. But the consequence of that has been only to worsen the economy further and create an even greater scarcity of foreign exchange because by an illogically created exchange rate, the possibility of exports has diminished even further. Zimbabwe’s economy is still deteriorating. The International Monetary Fund estimates that the inflation rate will reach 4000 percent by the end of next year. A local businessman explained to me the difficulties of operating a business in this type of hyper inflationary environment. Certain companies that I know of close their businesses for a week if exchange rates are moving just to manage the costs of their goods. Since the inflation has been escalating, previously people would have repriced their goods monthly. Now people in the market are talking about repricing their goods weekly, according to the parallel market rate. I think it’s known generally that most companies that aren’t exporting and aren’t self-sufficient as far as foreign currency is concerned purchase their foreign currency off the illegitimate or parallel market or informal market or whatever you want to call it, and they price their goods according to those values. So when the exchange rate is running because there’s a shortage of money on the market, those guys are repricing their goods weekly and that’s the reality on the ground. I don’t think any officials or anybody else can deny. Everybody knows that’s what’s happening. For companies that don’t export, it’s extremely difficult to make any predictions. You’re living from hand to mouth on a day-to-day basis. I think that a lot of businesses that have relied on foreign currency input just to remain in trade are pretty much going to 3-day weeks because they can’t get the foreign currency at whatever price. And secondly the lack of margin catches up with you. If you make one error as far as your pricing is concerned you make a loss. And quite often you find that you have quantum leaps in the actual basket of goods that they use for inflation on a month to month basis because the perception may be that it’s settling down. So the pricing is done incorrectly and it doesn’t settle down. The following week or the following month, the businesses and the trades work on it as a straightforward financial calculation and try and recover all of those costs that they may have lost the previous week or previous month. So that then has a quantum leap. You’ll see in our statistical figures I think for March and April, you’ll see that March inflation dropped and in April it spiked because that was everybody catching up because of the lack of perception as far as the business was concerned. So yeah, it’s not an easy task and I think it’s all guess-work to be perfectly honest with you. Because of Zimbabwe’s shortage of foreign currency, fuel is also in very short supply. Every day, hundreds of thousands of people have to walk up to 20 kilometres to get to work. At petrol stations, you can see dozens of buses lined up to purchase government fuel. They often remain there for days. For private motorists, it’s even more difficult to get gas. You’re listening to “A Deep Cancer” from Radio Netherlands Worldwide. In June of last year the situation for millions of Zimbabweans deteriorated even further when the ZANU-PF government launched Operation Murambatsvina or “Clean up the Filth”. Zimbabweans refer to it as their tsunami. The dwellings of 700,000 Zimbabweans were destroyed and the stalls of hundreds of thousands of informal traders, who are essential to the Zimbabwean economy, were knocked to the ground, explains a local human rights activist. The government’s propaganda position is that it was about getting rid of the filth, the filth being crime, being dirt on the streets, that they needed to clean up the informal sector which was unregularised and not performing in terms of government bylaws. But in actual fact, this wasn’t true. Many of the vendors organisations were completely licensed. They were operating out of regular sites which the government went and demolished. They demolished areas which had been allowed by the city council and built with council money. On the housing front, 86% of dwellings in Bulawayo which were knocked down were actually robust structures built out of brick and mortar and with corrugated iron roves. These were not shacks and this was not slum clearance as it has often been referred to. So I think the real reason was it was a way of punishing urban voters for the fact that over the last six years, they have repeatedly and convincingly voted against ZANU-PF, and they had in fact just done so in March 2005 in the elections, and then in May, June, July along came the demolitions. This is Killarney, a suburb of Zimbabwe’s second largest city, Bulawayo. Suburb is actually the wrong word: it begins where the paved road and the beautiful, spacious houses end. You need a 4-wheel drive vehicle to manage the dirt roads taking you into dry bush. Three teenagers are pounding rock-hard earth, hoping to extract some gold dust to pay for a meal and perhaps a drink. Around them are hundreds of dwellings, all of which have been destroyed. The house of 27-year-old Ncedisani Mpofu and her four children has been demolished 8 times in the past year and a half. The first time was in June of last year. They come by 5 o’clock. EB: In the morning? Yes, in the morning. They say go out. So I took all my children. When I was taking my children, they asked the matches. I gave them the matches, so they was burning the house. So nothing kept outside, only burnt in the house. EB: Did you have a lot of possessions? Yes, a bed, materials, tools, my wardrobe. EB: They burnt all blankets. Yes. EB: Did they explain to you why they were doing this? They said, go away, go away to where you came from. She and her children spent four months living in the bush. Time and time again, she built new shacks, all of them around 2 metres by 3 metres. There are holes in the roof, so when the rainy season comes, she and her children are unprotected. The wind blows dust in to the family’s scant possessions. Mpofu doesn’t know why her government has done this, nor what will happen next. I don’t know what they are thinking to do. Otherwise they come. It was raining. They said, go out. They destroyed houses. I don’t know where we are going. Yes. It’s pretty horrible. Yes. In urban areas too, police destroyed sheds that people had built in their backyards, despite the fact that they had permits. This woman, who wishes to remain anonymous, is now living with 18 relatives in a tiny house in a high-density suburb of Bulawayo. Like many, she is angry with Robert Mugabe, who she refers to simply as “he”. We are fed up because he has always got false promises. He always say come and they register us and all those who were affected by Murambatsvina. You should come and register, so that we can give you other houses or build other houses for you. But there’s nothing since that time until now. And you have registered? Yes I did. So many times. Even on Friday, we registered. They came here and wrote our names with out IDs. We don’t know whether we are voting by registering those names. We now don’t know because he’s clever and there’s nothing we can do because he’s always cheating us. How many years are we going to sit like this waiting for something which is not going to come? He took over the country. We wanted to be free. But we are not free because we are starving, more starving than what our forefathers were doing. It’s a sentiment you hear frequently in Zimbabwe, among both the old and the young. People feel that the ZANU-PF government has turned not only against the main opposition party, the MDC, but also against its own people, driving this once prosperous nation into collapse. It’s a view shared by the United Nations. According to the UN humanitarian chief Jan Egeland, “when life expectancy goes down from more than 60 years to just over 30 years in a 15-year span, it’s a meltdown”. It’s a meltdown that’s affecting all sectors of Zimbabwean society, including the judiciary, says Mary Ndlovu, a human rights activist. The judiciary as an institution has been undermined by deliberate actions by government, pronouncements of government undermining the integrity of the judiciary, threats and intimidation against judges who give rulings that they don’t like, appointment of people as judges that they think will toe the line for government and give them rulings that they like. And then for those who don’t, sometimes quite alarming reactions from government. We’ve even had violence against specific members of the judiciary mainly from the sort of government affiliated institutions such as war vets or party youth or militia, where courtrooms have actually been invaded. It’s also become quite corrupt and it’s heavily understaffed. Many of the judges, magistrates and prosecutors have joined the huge exodus from Zimbabwe. It’s estimated that over 4 million Zimbabweans, out of a population of 15 million, have left the country to find work abroad. Like the rest of Zimbabwean society, the judicial and penal systems are collapsing. Mary Ndlovu cites an example. 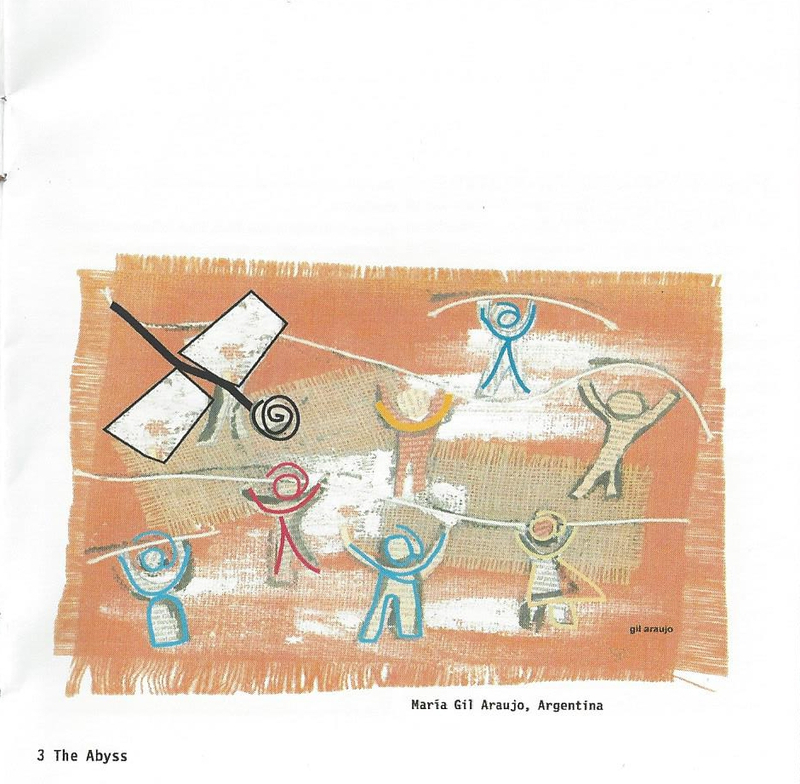 Recently I came across a report and this is just one corner of the whole system, a report on juvenile justice. It was absolutely horrifying. There’s no juvenile diversion system. Most of the juveniles who come to court as offenders are not represented by anybody. The social workers in the system who should attend to the juveniles are simply not there. They’ve mostly emigrated so you can’t call on them. You get magistrates saying well, what can we do? We have to sentence them to prison. So you’ve got 15 year olds in maximum with adults in the same cells, brutalised, traumatised. Not only boys. Also girls who are being brutalised by older women. I mean this is horrifying. It’s totally unacceptable. And then they say, oh well, but we have no juvenile prison. Nobody seems to be bothered. Indifference is endemic today in Zimbabwe. It’s each for himself: those at the bottom of the ladder are simply trying to survive, while the friends and allies of the government live in plush houses and drive around in luxury cars. They and President Mugabe are determined to try and keep their grip on power, says this human rights activist. What we see is a dictator in his dying years, and like all dictators what Mugabe is trying to do is to control more and more and more of Zimbabwe. And that’s why more and more aspects of the nation are being militarised for example. Grain distribution has been militarised for years. Fuel has been militarised for years. Most of the parastatles are run by army generals or ex-army generals. So at a certain level, there’s this desire to control. We see laws passed, draconian legislation controlling private schools, controlling prices of commodities. But they’re a government which is also splitting at its heart. They’re a divided party. And they’re a party without resources. They’re broke. They literally don’t have the diesel to go out and steal food from the villages although that’s what they’ve said they’re going to do. So simultaneously you see more legislation, more attempts to control but actually more and more, there’s kind of large parts of the nation that are more or less just anarchy. One of the most recent examples of Zimbabwe’s growing militarization is Operation Taguta, which means Operation Eat Well. It was launched last year to gain control over food production in the country. It places agriculture partially under the control of the Zimbabwean Defence Forces in places like this, an irrigation scheme 2 hours southeast of Bulawayo. It’s a wealthy area: people used to grow the staple food, maize, as well as cash crops. The scheme was created in the 1960s and worked well until recently, when because of a lack of foreign currency, farmers could no long buy fertilizers. Production dropped dramatically. But local people, like Oziah Matutu, don’t understand why the government sent in the army to boost production: after all, he says, the soldiers have no knowledge of agriculture. They did not learn for farming. They learnt for killing people. You can’t work something you have never learnt for. The farmers must be the farmers. They must be back to their barracks, not here. The army is forcing the farmers to plant maize year-round and preventing them from planting cash crops. The troops are also forcing them to buy seeds and fertilizers from them and to pay for government tractors, even though these farmers used to use oxen. They are also deliberately humiliating local people. Trustee Bhebhe for example had two donkeys which wandered into the irrigation scheme. By law, he had to pay a fine to get them back. But that was not all. They told me to go to the pens and look for the donkeys. I ran to the pens and found the donkeys. Then I got back and told them the donkeys were there. So they ordered me to get into the canal and swim. I went into the canal and came out. They ordered me to roll outside. Then they ordered me for the second time to go back to the canal. Then come back again. I did so and I rolled for the second time. Then they told me to roll towards the pen to collect the donkeys. EB: But why did they force you to get into the canal and then to roll on the ground? I don’t know actually. It was not supposed to be like that. I was only supposed to pay a fine. EB: So it was just to humiliate you? Yes because it was before the public because it was a public place. Yes, I was humiliated indeed. Bhebhe’s case is not unique. It highlights another way in which Zimbabwean society is collapsing, says Mary Ndlovu. People decide to use violence to solve their problems, and this is not only encouraged. It’s celebrated by government who rather than using the law, they use violence. I mean, you take for example the evictions last year, Murambatsvina. There was a legal way of doing that if they really thought people should be evicted. But no, we don’t use it any more. We prefer violence. It’s in the family environment. It’s in the schools. It’s in the training of police officers, where I was actually told by a recruit, of course they beat us. They tell us we’re beating the civilian out of you. So there’s this belief that violence is useful. It forces people to do what you want them to do. Walk into any market in Bulawayo or out on the streets, and you will see little violence or anarchy. In fact, Zimbabwe’s 2nd largest city simply looks like a sleepy rural town. But I was here a decade ago, and Bulawayo was a bustling place. That is the tragedy of Zimbabwe’s collapse, says Paul Temba Nyathi, the director of elections for the MDC party. Unfortunately people would tend to compare it with other states that have failed drastically. They would compare it with the Democratic Republic of Congo. They would compare it with Sierra Leone, for instance, which I think is an unfortunate comparison. Zimbabwe shouldn’t be where it is now because it started off extremely well. It was a beacon of hope in the region. We inherited an economy, which functioned reasonably well. We have a highly educated population. The skills were there. So we have no reason to be where we are at the moment. What we have at the moment which a lot of people believe represents a reasonably functioning state is the result of 26 years of mismanagement. How much further Zimbabwe will sink is anybody’s guess. But how can a government inflict so much suffering on its people? It’s a question I put to Pius Ncube is the Archbishop of Bulawayo. This is a devilish government. They no longer have any idealism or any patriotism. They don’t worry about their people. All they worry about is to line their pockets with people’s money and to stay in power. Now they even want to extend Mugabe’s power to 2010. They’ve no morality. They’re evil. Mugabe thinks that he’s the owner of Zimbabwe. We are not owned by him. It’s mere repression. It’s mere dictatorship. It’s mere cruelty. So is Zimbabwe a failed state? It’s a question I would have liked to put to the government, but Zimbabwe imposes draconian restrictions on foreign journalists, and I travelled to the country undercover. So instead I put the question instead to Thandeka Zinti Mkandla, a former academic and MDC member, who is the mayor of Gwanda, in the south of the country. Yes, I would say it’s a failed state because if all organs of the state seem to be sinking, when everything seems to be on a freefall, where the rule of law, never mind what the central government says, is at the beckon call of individuals, when there is no manufacturing to talk of, yet you need forex. What else would we need to have a failed state? The opposition MDC party like the rest of Zimbabwean society is divided and unable to challenge the rule of President Mugabe’s ZANU-PF party. Foreign countries too have been powerless to stop the nation from going from being the breadbasket of southern Africa to one of the world’s basket cases. 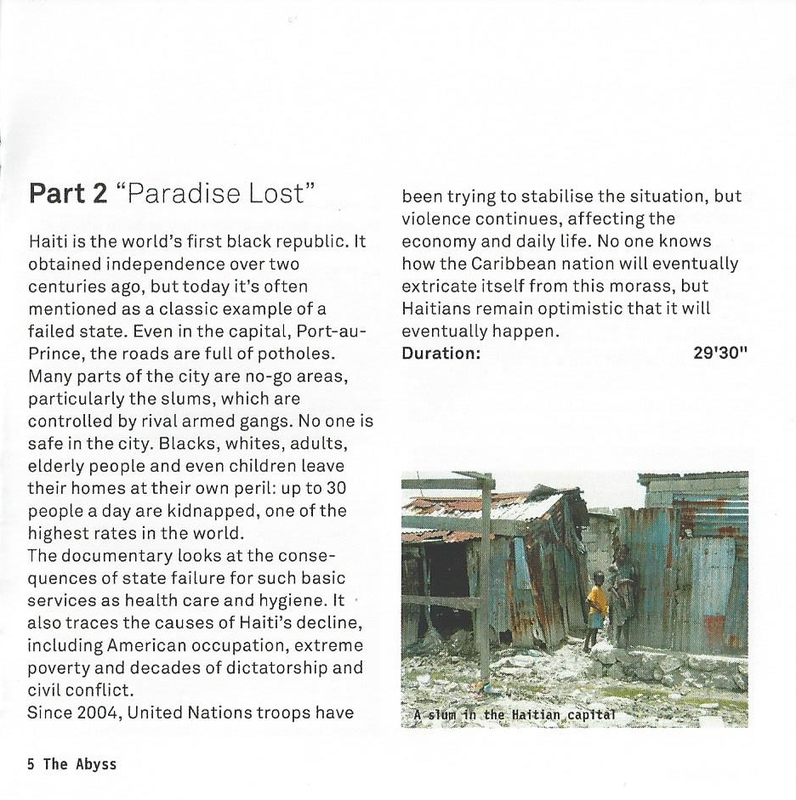 Depressing as it may seem, in some cases, state failure may simply be inevitable. But that’s scant consolation for the victims of Zimbabwe’s demise. No one really knows what to do. We’ve had Robert Mugabe in power for the last 26 years. He doesn’t want to leave power. He’s doing everything he can to remain in power, including destroying the lives and livelihoods and well-being of his own nation. And no one really knows what to do about it. “A Deep Cancer” was presented by Eric Beauchemin. 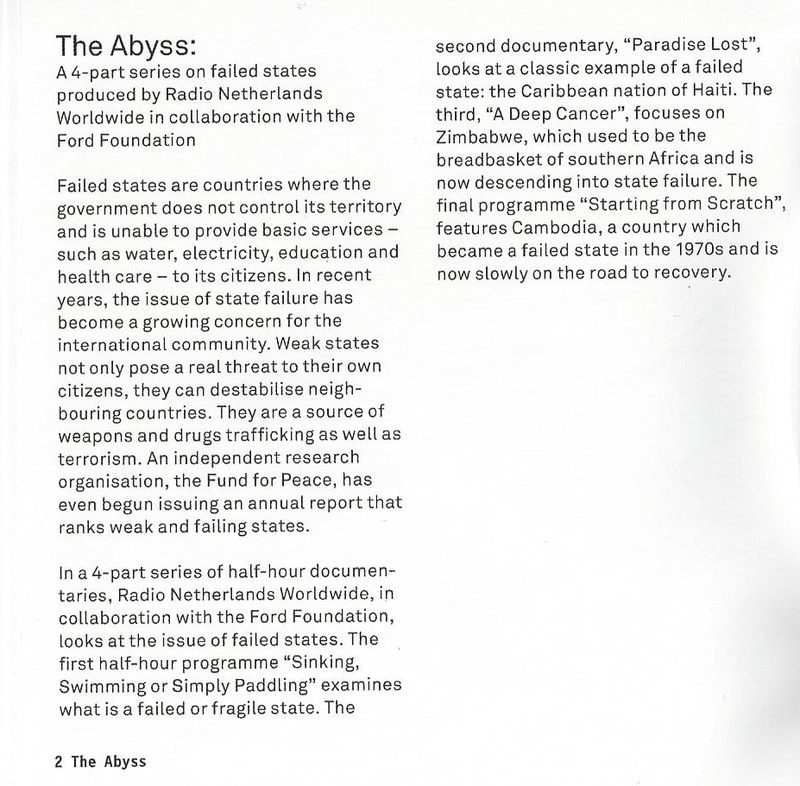 It’s the fourth and final programme in “The Abyss”, a four-part series on failed states produced by Radio Netherlands Worldwide in collaboration with the Ford Foundation.